Since this book was published over a century ago, countless readers have learned through its pages that no one can teach prayer better than Jesus Christ himself. This enduring classic will transform your prayers and life as you open your heart to the prayer-lessons Jesus gave. "The Father waits to hear every prayer of faith. He wants to give us whatever we ask for in Jesus' name. If there is one thing I think the Church needs to learn, it is that God intends prayer to have an answer, and that we have not yet fully conceived of what God will do for us if we believe that our prayers will be heard. God hears prayer." Reader Review: I grew up reading the Bible, attending church, praying, etc. I never felt I really understood prayer as I should, but it seemed no resource existed that could impart the depth of understanding I wished to attain on the subject. That is, until I stumbled upon Andrew Murray's book Lord, Teach Us to Pray. This book spoke to the depth of my soul. It has opened my eyes to the amazement of God's real intent for prayer in the life of a believer. As I read this book, I underlined important insights. Alas, some chapters were nearly completely underlined! This book truly is that helpful in mining the gems of prayer as God intended it. Lord, Teach Us to Pray by Andrew Murray by Andrew Murray was published by Infinity in February 2015 and is our 35207th best seller. 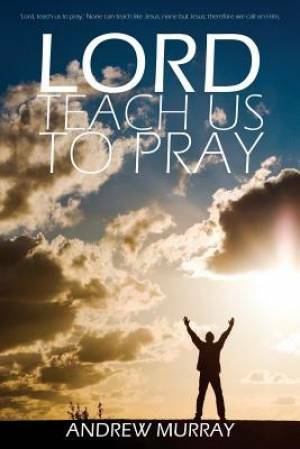 The ISBN for Lord, Teach Us to Pray by Andrew Murray is 9781940177670. Be the first to review Lord, Teach Us to Pray by Andrew Murray! Got a question? No problem! Just click here to ask us about Lord, Teach Us to Pray by Andrew Murray.